After working on developing the perfect Bloody Mary for years, we are proud to present our best Bloody Mary Mix. 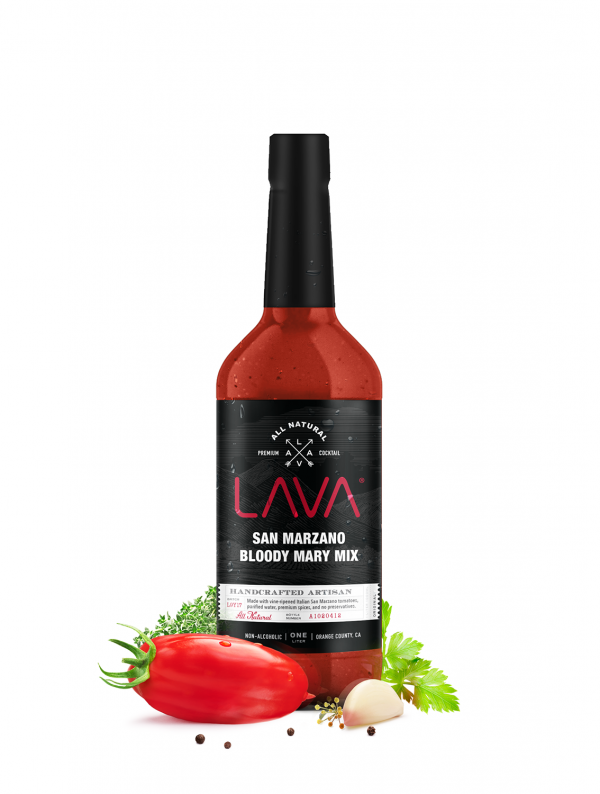 LAVA All Natural Bloody Mary Mix is a unique blend of Italian San Marzano tomatoes, purified water, and premium spices. Minimally processed with no artificial ingredients and made better-for-you. Gluten free, vegan, no artificial ingredients, no added sugar, no high fructose corn syrup, no msg, and no preservatives. Experience a bold flavor profile, with mild to medium heat, never watery, always tasty and fresh. Just add vodka and ice and serve. Had this at Buffalo Wild Wings and had to get some for home! I’ve been looking for a quality mixer for so long because making it at home is a pain. Sometimes you just need a quick fix, haha, don’t judge me.